Sea-Doo watercraft provide the ultimate in value and performance and we offer you multiple choices in watercraft design and handling characteristics. One of the primary decisions that you need to make when researching watercraft styles is the type of rider that you are—this will help you determine the segment and style of watercraft that will be ideal for you. One of the most important decisions is hull design. Sea-Doo has three different hull styles and each offer riders different ride characteristics. Are you looking for something playful and nimble that rides on top of the waves or are you looking for a tight turning, aggressive hull that enables you to corner harder and faster and cuts right through the waves? We offer three hull styles and there is one designed for every type of rider. S3 stands for Stepped, Stable and Strong. These hulls are made from lightweight material are ribbed and stepped. 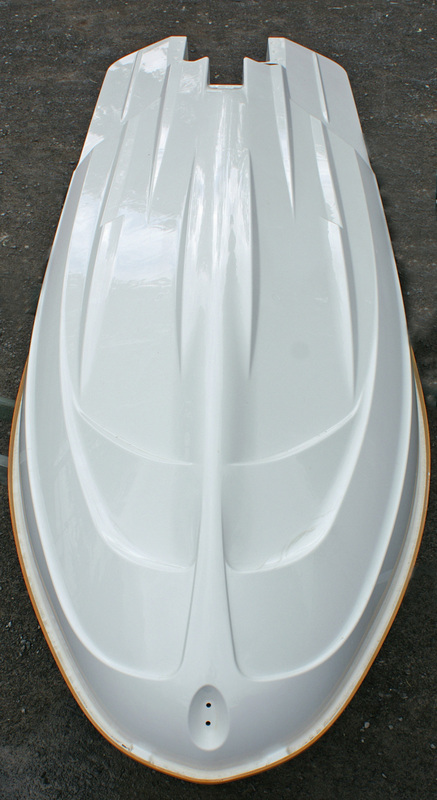 This hull style creates a low-pressure zone to reduce drag for nimble handling. The S3 hull cuts through the water and leans naturally when cornering. The hull is constructed of material that is up to 20% lighter than competitor hulls. The hull design is ideal for those who regularly take extended rides where comfort is important. This revolutionary design provides aggressive lean-in turning characteristics and penetrates chop and rough water conditions better than any of its predecessors. T3 stands for Tight-Turning T-hull and uses an advanced dual surface hull design with a unique combination of soft and hard chines that engages the water with a suction force when leaning into a corner. These combined features provide enhanced lean angles which allow the rider to turn tighter and faster. The multiple stages of the T3 hull provide great stability at idle and low speeds, unmatched acceleration and a narrow high speed running surface which delivers a nimble and highly precise driving experience. This hull design is ideal for enthusiasts looking for the ultimate race-oriented watercraft with maximum carving capability, sped and control in any water conditions. The only Sea-Doo watercraft with the T3 hulls design is the award-winning RXP-X 260.